James Cole Estate Winery is located a short distance off of the Silverado Trail at the junction of the Oak Knoll Crossroad – the winery is very easy to find. They specialize in Estate Cabernet Sauvignon which makes sense based on their location just south of the famous Stags Leap Wine District – which of course is one of most well-known Cabernet Sauvignon producing districts in Napa Valley. The winery name combines James’ first name and part of his wife Colleen’s first name. James was born outside of Edmonton Alberta and has enjoyed a long career centered around wine; as soon as he graduated from Simon Fraser University in British Columbia he took a job at Vincor International (now part of Constellation brands); by the time he left Vincor he was their Vice President of Marketing. 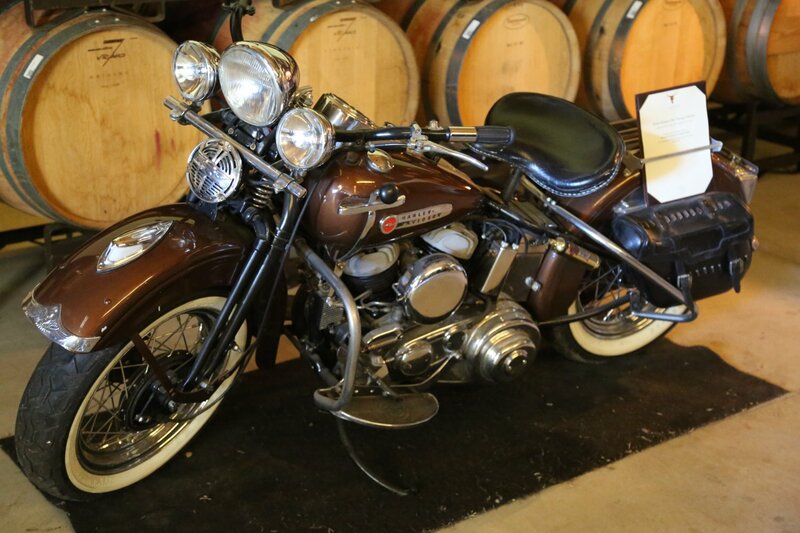 James worked for Inniskillin Winery for some time – famous for their ice wines (more about that later). 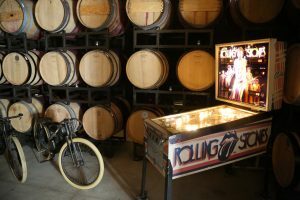 He also worked for Napa based Wilson Daniels (a prominent wine marketing company) and then later, together with long time Napa vintner Jim Regusci began and eventually sold Nine North Wine Company (responsible for creating and marketing a number of negociant type brands). Their logo is not a Texas Longhorn however inviting it might be to think that when you see a bottle of their wine. This logo is derived from a beautiful metal sculpture made by a Hispanic artist whose artwork focuses on sculptures of the human form. 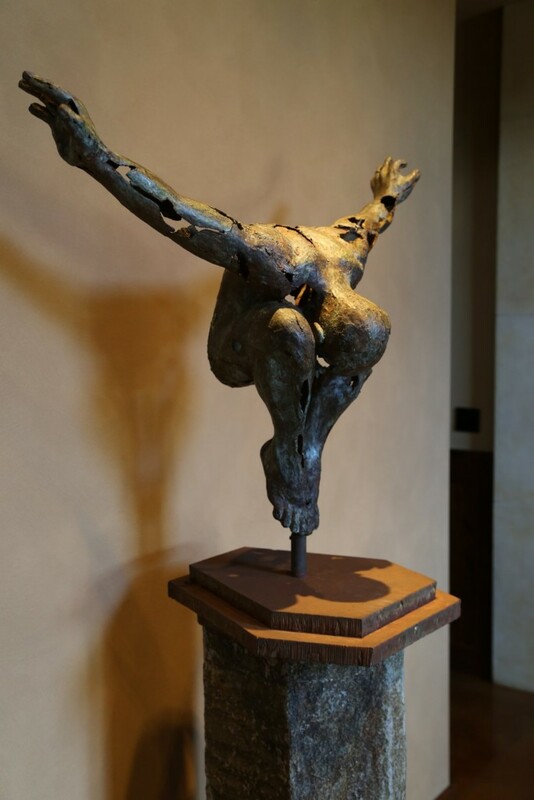 James and Colleen spotted this piece of art in a gallery in Laguna Beach (Southern California); it now resides in the winery across from the tasting counter. Colleen is from Whittier in Los Angeles County – after graduating from USC with a Communications degree she worked in the finance sector. Eventually she started her own financial agency in San Francisco. James and Colleen purchased this 11-acre property in 2000; they planted the vineyard soon after their purchase. 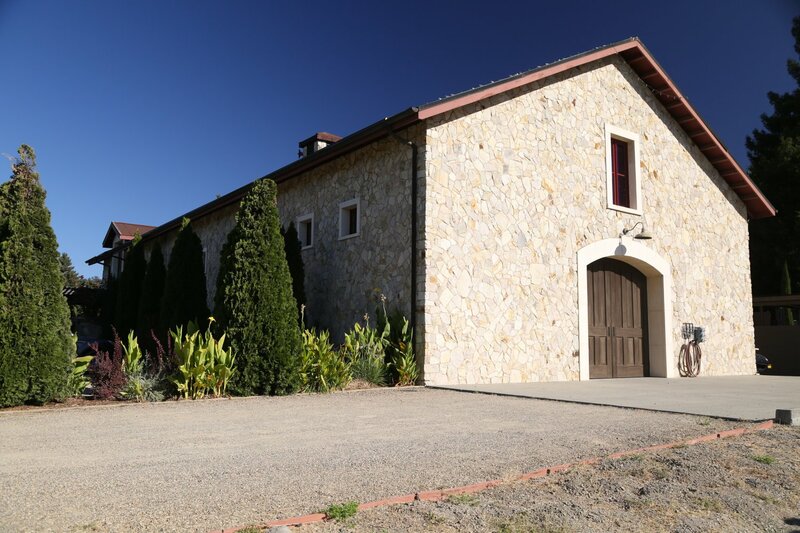 The site used to be an old dilapidated equestrian center and the winery building sits in the footprint of one of the original buildings. Nine of the eleven acres are planted to three clones of Cabernet Sauvignon. 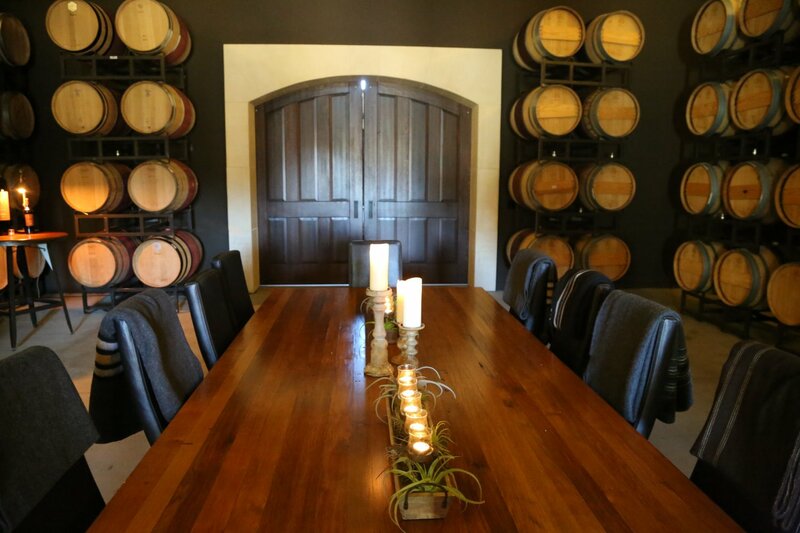 Fruit from each clone is kept separate during the aging and then blended for the final wine. 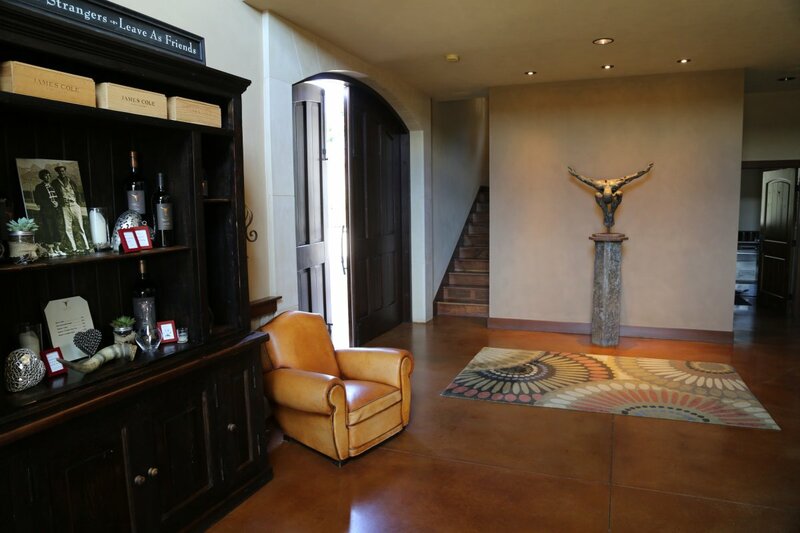 All production is very limited with each wine in the 100 to 400 case range with total production around 750 cases. 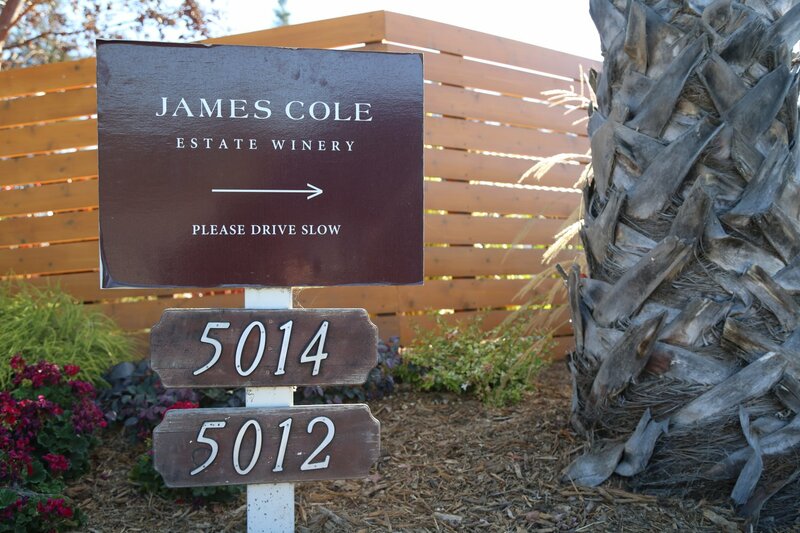 The fist vintage of James Cole was from 2003. Prior to the winery being built, they made the first few vintages of the James Cole wines at Regusci Winery until their existing winery was completed in 2007. The tasting experience is relaxing with very knowledgeable and friendly staff and is held indoors at the tasting counter or at tables outside, weather permitting. 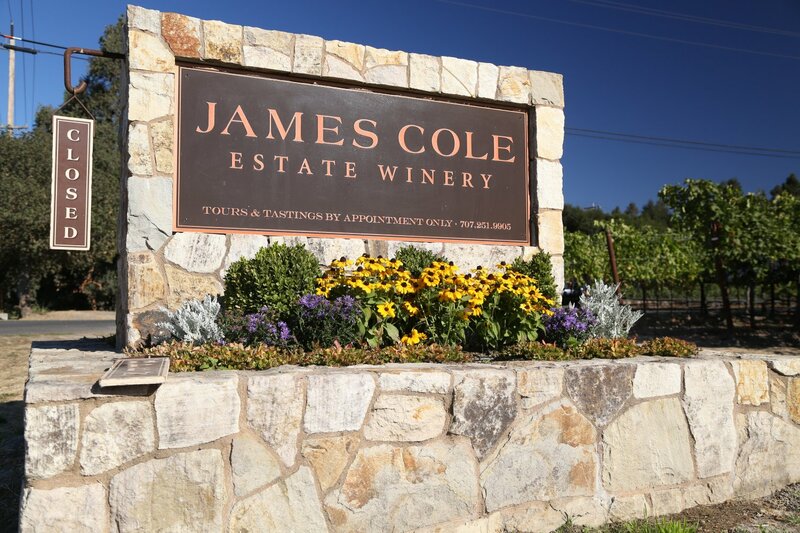 The 2006 James Cole Chardonnay saw minimal malolactic fermentation and oak aging; it is crisp and full of fruit flavors including nuances of apple and pear. Its extremely hard to find a 100% varietal Malbec in Napa (think Mendoza, Argentina), but James Cole does a very nice job with this wine. 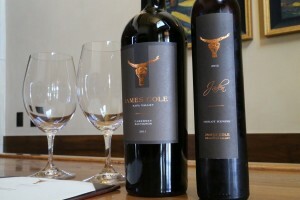 The 2005 James Cole Malbec was made with fruit from the Oakville district. 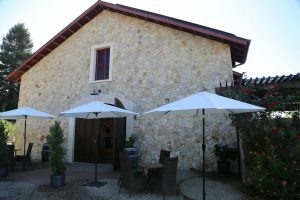 It is a concentrated wine with great color – very dark and inky in the glass offering flaovrs of licorice and cherry on the palate – this is a good wine for aging. 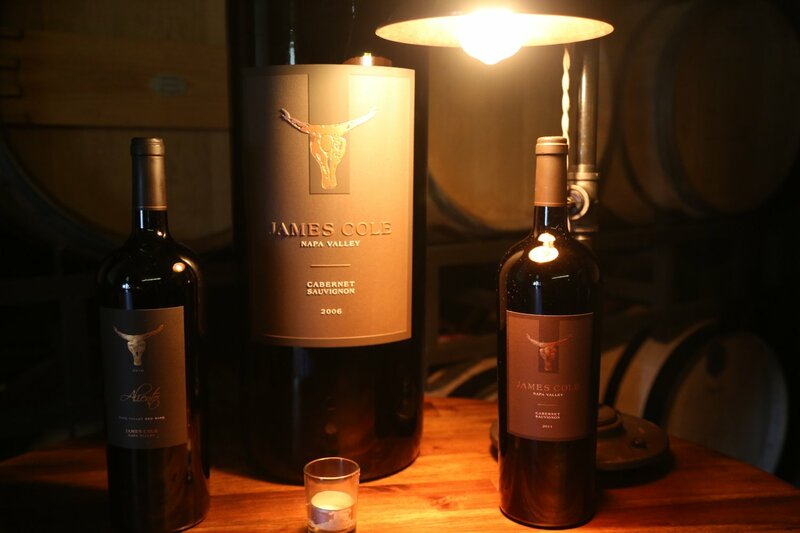 The 2004 James Cole Cabernet Sauvignon is a medium bodied wine but not as robust as the style of many area Napa grown & produced contemporary Cabernet Sauvignon wines. The nose is very earthy with dominating notes of black cherries and the mouth feel is full bodied and smooth. Food friendly, certainly. The James Cole 2015 Il Mostro is a blend of 76% Zinfandel with most of this varietal coming from older vines growing on the highest vineyard on Howell Mountain (Black Sears) and 24% Petite Sirah from Oakville. 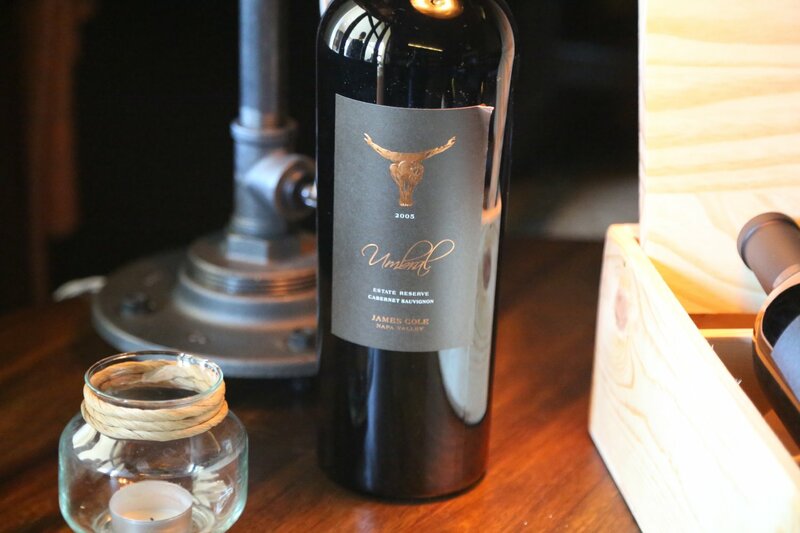 Initially shows aromas of toasted oak, cedar and as the wine opens pretty dessert spices including mocha and toffee. The bouquet features plenty of fruit including blackberry and baked cherry along with black licorice. Both red and darker fruits show on the palate – balanced nicely this medium bodied wine features slightly dusty tannins anchoring a long finish showing a sweetness of fruit, a spice component and good acidity. 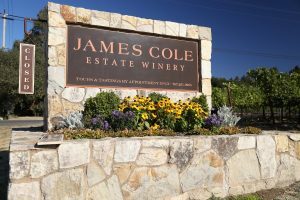 The James Cole 2016 Malbec is 100% varietal (fairly rare to find in the Napa Valley). 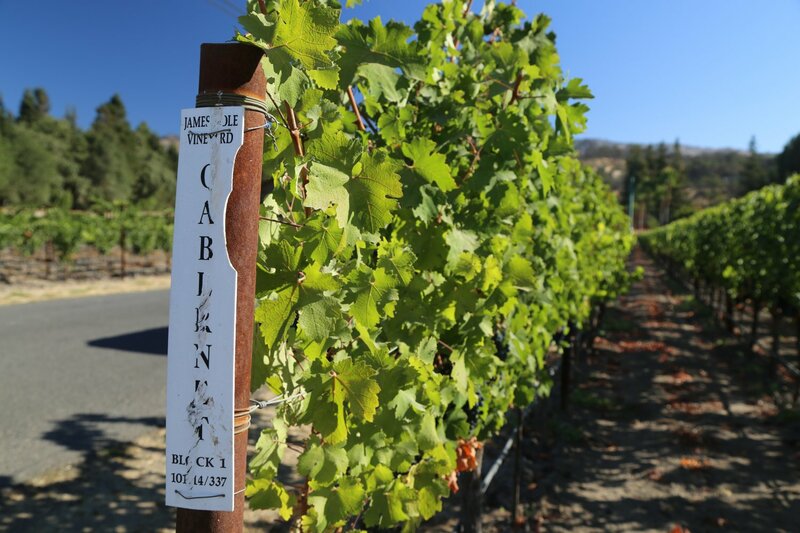 This wine was sourced from Trefethen Vineyards (only Trefethen and James Cole have access to this limited planting in the Oak Knoll District). The bouquet is decidedly fruit forward (as opposed to some Malbecs which tend to be more earthy in nature). Shows aromas of raspberry and Asian spice. Has plenty of depth on the palate and packs loads of flavor. 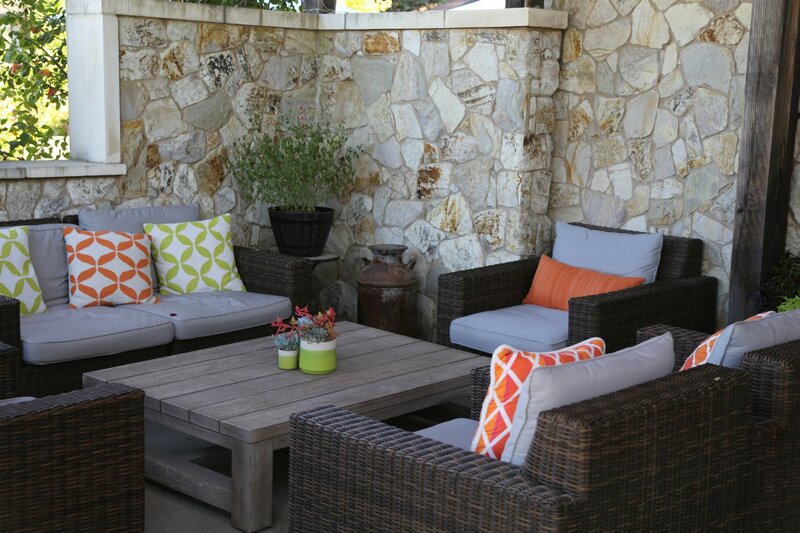 The tannins are still a bit wound in its youth – they are long lasting with a firm grip on the finish. 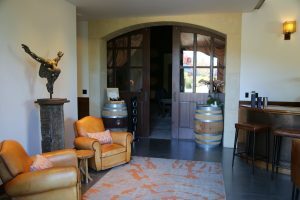 In what used to be a very unique offering for a Napa based winery, for a number of years James Cole tasted visitors on the Jaden Pinot Noir Icewine from the Okanagan Valley in British Columbia. 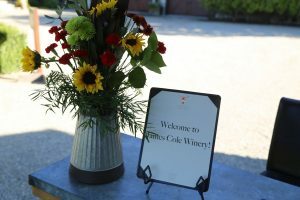 This was a rare wine that was made in extremely small quantities – James Cole only received 75 cases of the 2004 vintage and a typical vintage was under 100 cases. James’ brother Jeff used to farm this vineyard. James Cole no longer offers this wine – but Jeff is still very much involved in the Oakanagan wine scene – he owns and operates Ex Nihilo winery and vineyards. This was a wine that was quite difficult to make for many reasons. The grapes hang on the vine well after the normal harvest often until the end of December and they have to be netted to keep out all the hungry birds and other animals. 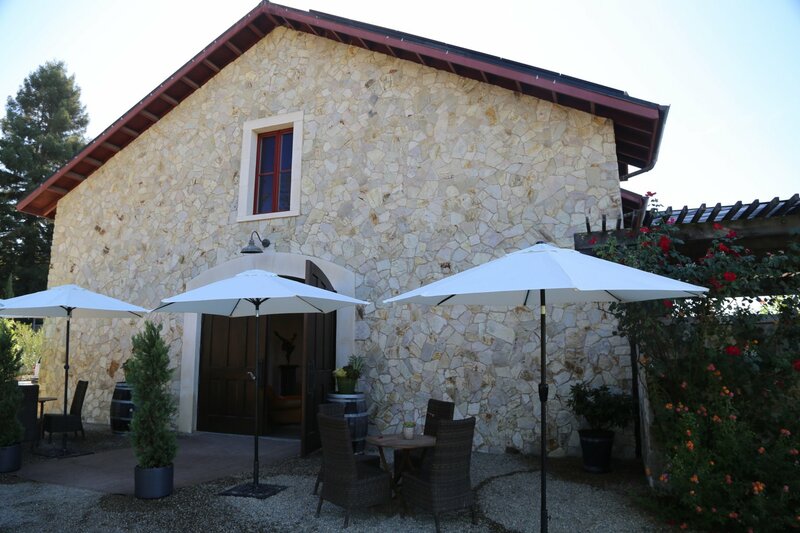 By regulation, the temperature for 3 consecutive nights must be -8C or lower and then what little juice you can get from these desiccated grapes comes from pressing them right in the vineyards. The Brix (sugar level) is usually in the upper 30’s low 40’s. This wine was then aged in small Acacia wood barrels which helped to impart a honey spiciness into the wine. 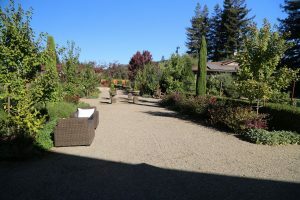 The 2004 Jaden Pinot Noir offers a pretty nose with some hints of flowers including roses and cut red ripe apple – the feel on the palate is crisp (due to excellent acidity) and not overly sweet. This is definitely one of the highlights of the desert wines that we have tasted on our journey through the Napa Valley. 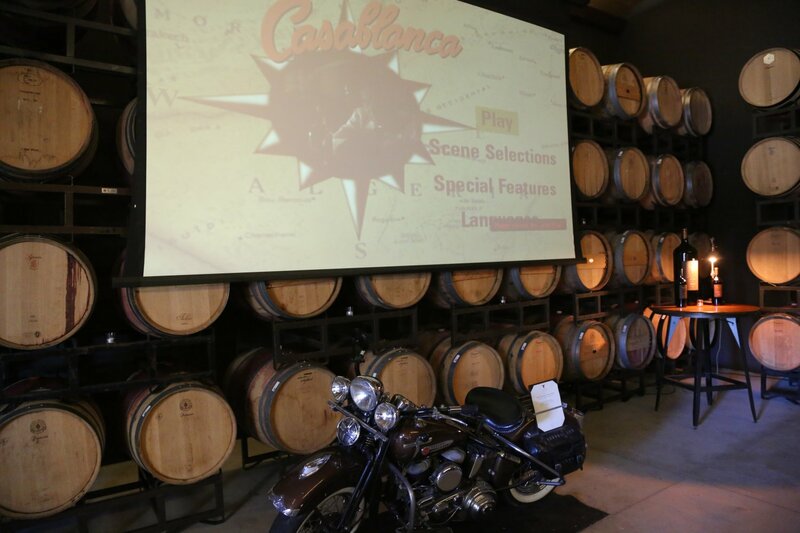 The barrel room contains a large sit down table; and sometimes they show movies from the projector on site. The staff tends to prefer Rolling Stones music so this is most often what you will hear playing at the winery. 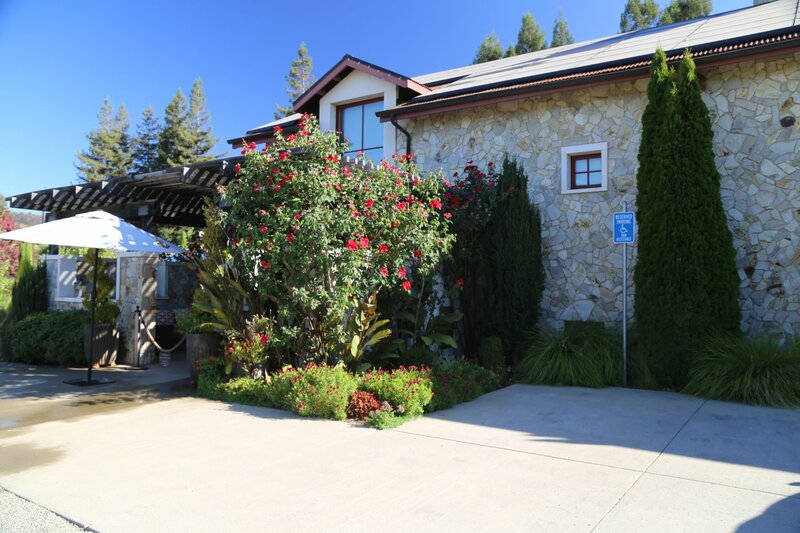 This is a boutique winery that while visible from the Silverado Trail prefers to keep a lower profile compared to some of their neighbors. 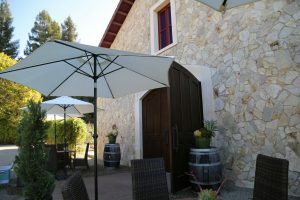 The wines are only available at the winery – no no retail distribution. And in October 2017 their property was right next to the terrible fires that razed a number of their neighbors homes and completely burned the nearby Signorello Estate Winery to the ground. 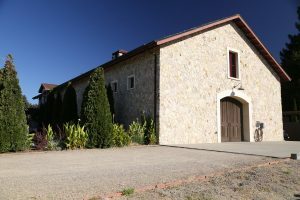 In fact the fire came onto their property and burned a few small buildings – fortunately the winery is built of stone and did not burn.